Mr. Musser is President and Chief Executive Officer of Kirby-Smith Associates, Inc., a Ministry of Church Finance and Stewardship, founded in 1938. He has served in this capacity since 1991. Our team of professional staff and partners provides a full range of capital campaigns, feasibilities studies, full-service media and marketing services, stewardship programs, increased offertory/annual campaigns, and planned giving. We also provide solutions workshops and webinars, development, organizational management planning services, and coaching to a variety of Christian churches and schools, faith communities, and charitable organizations to meet their fundraising needs. The vision of Kirby-Smith is vibrant and growing Christian communities of faith. 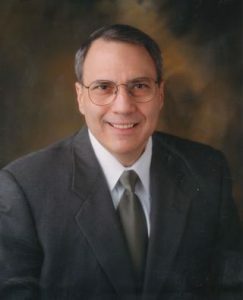 Mr. Musser graduated from Millersville University in 1980 with a Bachelor of Arts degree in economics. He has completed graduate studies for a Master’s Degree in Management. Mr. Musser was commissioned as a second lieutenant in the Pennsylvania Air National Guard in his senior year of college. Upon commissioning, he attended flight school and transferred to the Air Force Reserve. Mr. Musser held command positions both at the squadron and group level. He completed a variety of military and educational trainings throughout his military career including Air War College. Mr. Musser retired after 28 years of military service from the Air Force Reserve in May of 2007 as a Lieutenant Colonel. As a military officer, Mr. Musser served his country with distinction in both peace and war time, and has been awarded various awards and decorations to include the Joint Services Commendation Medal and four Meritorious Service Medals. Mr. Musser’s military career spanned flying to logistics. As a Logistics Officer, he assisted with humanitarian efforts throughout the world, including hurricane, earthquake, and tsunami relief. Upon completing his active duty Air Force Training and transferring to the Air Force Reserve, Mr. Musser was employed by the Junior Achievement organization for ten years where he served as Chief Executive Officer for three major metropolitan areas in Pennsylvania, Florida, and Ohio. Within the Junior Achievement organization, Mr. Musser earned advanced certifications in fund-raising to include Certified Fund Raising Executive (CFRE) and was awarded the highest honor in Junior Achievement – the Gold Circle Summit Award. Throughout his career, Mr. Musser has worked with senior level boards and has been instrumental in the recruiting, training, and coaching of executive staff and volunteers. Mr. Musser is a certified coach through the International Coaching Foundation. His ten years of experience within a non-profit organization eventually led to a personal calling to dedicate his expertise exclusively to the Christian community. He is often called upon to speak on a variety of stewardship and fund-raising topics throughout the country. He has written extensively on stewardship and conducting capital campaigns within the Christian community. Mr. Musser is married with three children. He and his family reside in Lancaster County, Pennsylvania.